An incredible debut novel that has left me staring into the void, processing, after just finishing... After reading an excerpt, I was hooked and every page sucked me in deeper. Theo Faber is a criminal psychotherapist who has felt drawn to Alicia Berenson's case since it began. A new job has provided him with the opportunity to help work towards some sort of breakthrough and he plans to do just that. Alicia, silent after being found with her husband dead at her feet, has been forgotten, no longer front page news, tucked away quietly in a psychiatric facility facing closure. This book touches on so many difficult topics, mental health, love, and betrayal. The author did a fabulous job of building the story and then twisting it in a way I never would have seen coming!? Highly recommended read and will be back for more from this author! The Silent Patient speaks a lot! Storyline/Overview - Theo Faber is a criminal psychotherapist and he is interested in Alice’s story who has murdered her husband. He is determined to get to the details behind the crime. 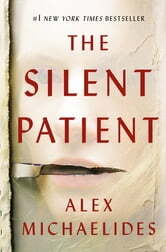 Even though the patient (Alice) is Silent throughout the narrative, the story progresses to spotlight her complex characteristics. “Unexpressed emotions never die. They are buried alive, and will come forth later, in uglier ways” BEST Psychological Thriller I have read in a long time! My opinion - Very well researched topic and the quotes at the start of every part of the book make sense at the end Every scenario described feels so realistic and I was amazed how much engrossed I was in this book Nice pace and a very easy to understand and read kind of language used The plot has a nice edginess and it wants you to keep turning pages to figure out what happens next! I was amazed at the flawless development of the characters, outstanding buildup and curiosity maintained and in fact increasing as pages turned! The final twist is the unique climax and no matter how much aware you are of the story, you’ll still not be able to predict it and I was mind blown by that sole fact The chapters are well divided and the engrossing fast-paced read makes it a page turner for sure! I enjoyed this wonderful psychological drama ride and cannot believe it is debut novel by Alex. Kudos!! Conclusion - It is definitely a clever and intriguing story with a mind-blowing twist to enjoy! 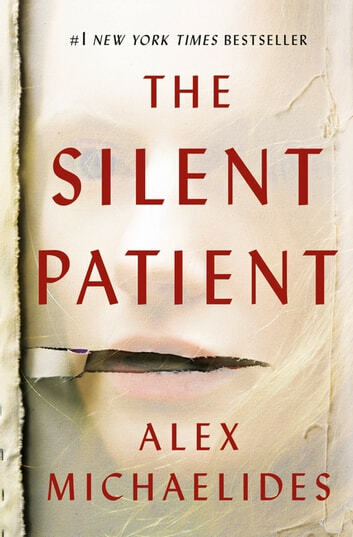 The Silent Patient SPEAKS a lot  It is for sure one of my favorite reads of 2019! This book was a real page turner. I literally couldn’t put it down and read it in one afternoon. I am definitely looking forward to this authors second novel! I gave 4 stars because the beginning of the Book moved kind of slow and was hard at first to get into, but as the book went on it finally drew me in and I couldn’t put it down.. great twist on the ending I didn’t really see that coming, however I felt the ending was left with to many questions wished the author had put a ending on the characters stories, the author kind of left the ending open so thought there may be a sequel. Loved this novel. It grabbed my attention from the start and did not wind down till the end.